Your imperial highness, members of the court, people of Stormark. It saddens me to say that this is my first voyage as Nohsi to this Nordic jewel, your land, the high realm of Stormark. The hothouse of international politics in Benacia, Keltia and Eura have kept the eternal maroon republic far too distant from its' friends, but we feel - we know - that this will change in due course. We are set to be very close friends in the very near future. I hope this will be the first of many such visits to Stormark from the Nohsi of the Republic, whomever he or she may be - ballots willing, I will once more take up the mantle of avatar of the people, but should I not, I can assure you that the next holder of my most esteemed office will treat the relationship between the many peoples of the republic of Ashkentza and the high realm of Stormark with the immense dignity, kindness and tact that it warrants. To talk politics, however, at such a blessed occasion is in bad form, ladies and gentlemen, but considering this is my first visit to your land, I hope you will overlook this slight. Please accept this gift from the people of the republic of Ashkenatza - a gold and platinum samovar, with ruby and emerald inlays. Hand crafted by Herr Joachim Von Spratt of Mitnik, the master clock maker and lens grinder, I hope that the happy couple will find a place for it in their new life. They are more than welcome to call the Knesset or Ruzhin palace for information as to it's use and to provide tea for them any time they desire! A mere trinket like this cannot do a relationship like ours justice, I realise, but this small honour is merely a signpost on a journey that will take us to new heights of political co-operation as we seek to define a new global politics. We, the People and Imperial Court and Government of the High Realm of Stormark, warmly welcome you, the Illustrious Noshi of the Great Nation known as the Republic of Ashkenatza, to the Lands of the Longships Throne. From the bottom of our collective heart We sincerely thank Your Excellency for the magnificent gift presented to Us on behalf the People of the Republic of Ashkenatza on this very joyeus occasion, the wedding of Her Imperial and Royal Highness Storjarla Æsileif and His Majesty King Arkadius III of Batavia. 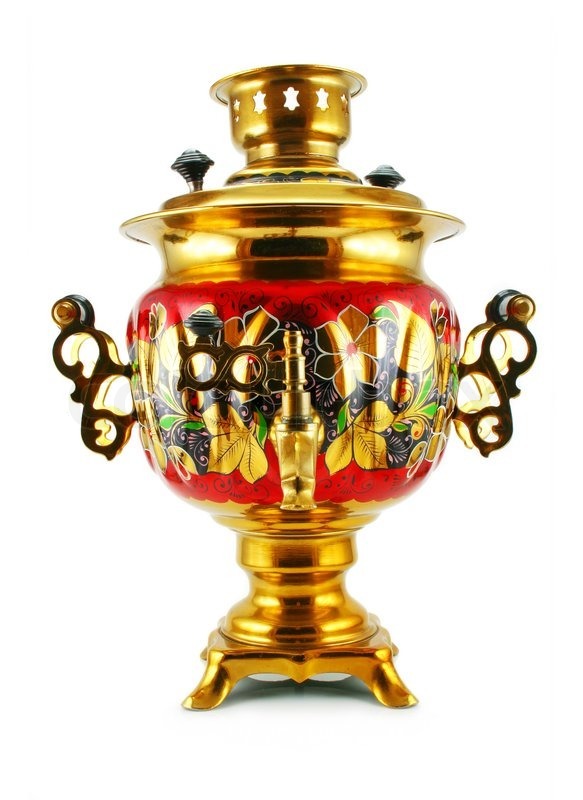 If the wedded couple consents, the samovar will be added to the Crown Jewels of Stormark. The High Realm of Stormark would also like to express that it highly values and deeply appreciates the extension of the hand of friendship by the Eternal Maroon Republic, a solid, mature and stable nation with a rich culture, which during its long and glorious history has truly managed to achieve and retain greatness. We very much feel that friendship between our countries, which will be based on their affirmative, similar and constructive approach to micronationalism, shared values and common interests, will be a lasting one and will grow until the sky falls down on us. Once again thanks to the People of the Republic of Ashkenatza for their generosity and expression of appreciation and friendship!! in the Eleventh Year of the Second Viking Age in the Second Epoch of Our High Realm. I thank you for your acceptance of this gift, your majesty! You are very welcome, Your Excellency. Thank you, your excellency. Your gift is greatly appreciated.